Early immigrants from the Carpathian mountain area of Eastern Europe who settled in the Pittston area came here with a love of God and church foremost in their lives. At first, they had to walk many miles to a church where their Rusyn language was spoken and their deeply rooted religious heritage prevailed. Great faith and strenuous effort on the part of a group of men, yearning for a church of their own to serve the faithful in their Byzantine traditions, resulted in the formation of such a church in Pittston. Assisted by the Rev. Myron Volkay of Taylor, a meeting was set for the old Bohemian Hall on North Main Street, Pittston, in September 1911. And the idea of St. Michael the Archangel Byzantine Catholic Church of Pittston, became a reality. Father Volkay served as the first pastor and the Most Rev. Michael Hoban, D.D., bishop of Scranton, was the first trustee. Father Volkay celebrated the first Divine Liturgy for the faithful of the new parish in Our Lady of Mount Carmel Church, William Street, Pittston. The lay trustees then were Joseph Lukesh, Andrew Timcho, Michael Czar, Andrew Fedorchak, John Hayko, John Fetchen, Nicholas Vejkay, Vasil Golla, John Hudick and Michael Fenner. A year later in 1912, a decision was made to purchase a parcel of land from the Stroh Estates at 205 N. Main Street at a cost of $5,000. The property became the site of the present church and rectory. 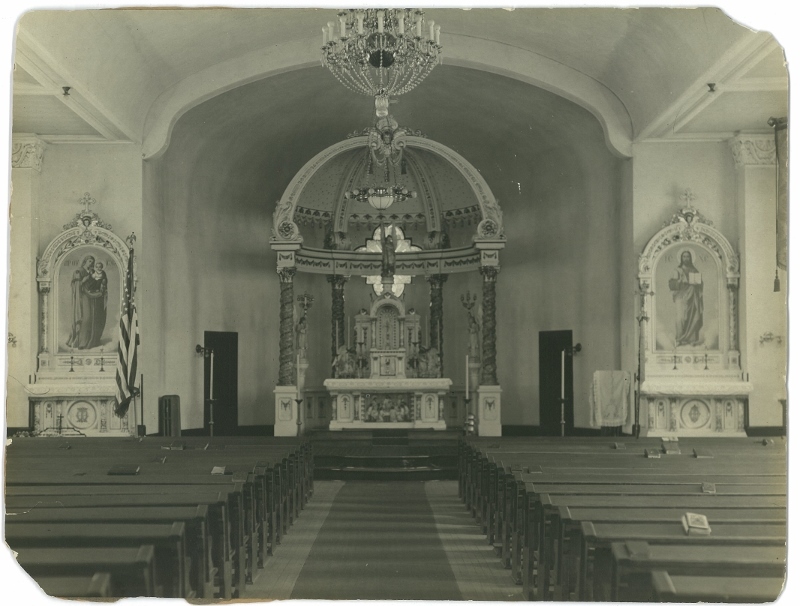 Shortly after the land purchase, work began on construction of the church basement, which was completed in 1913 and dedicated in 1915 by the Most Rev. Stephen Soter Ortynsky, D.D., O.S. B.M. The Divine Liturgy was celebrated there until 1918, when work on the present upper church structure was started. It was completed in 1919 at a total cost of $45, 000. The first resident pastor of St. Michael’s was the Rev. Victor Suba, who celebrated the first liturgy in the new church on [September] November 2, 1919. The Right Rev. Monsignor Gabriel Martyak, apostolic administrator, dedicated the church in 1920. Standing majestically above the banks of the Susquehanna River, St. Michael’s serves as a monument to God and the faith, love and sacrifice of the parish’s founders and its parishioners. It serves as a metropolitan parish, embracing parishioners from Pittston and surrounding communities of Dupont, Duryea, Pittston Township, Jenkins Township, the west side communities in Greater Pittston such as West Pittston, Exeter, Wyoming and as far away as Gouldsboro. The church has undergone several renovation projects during the years. 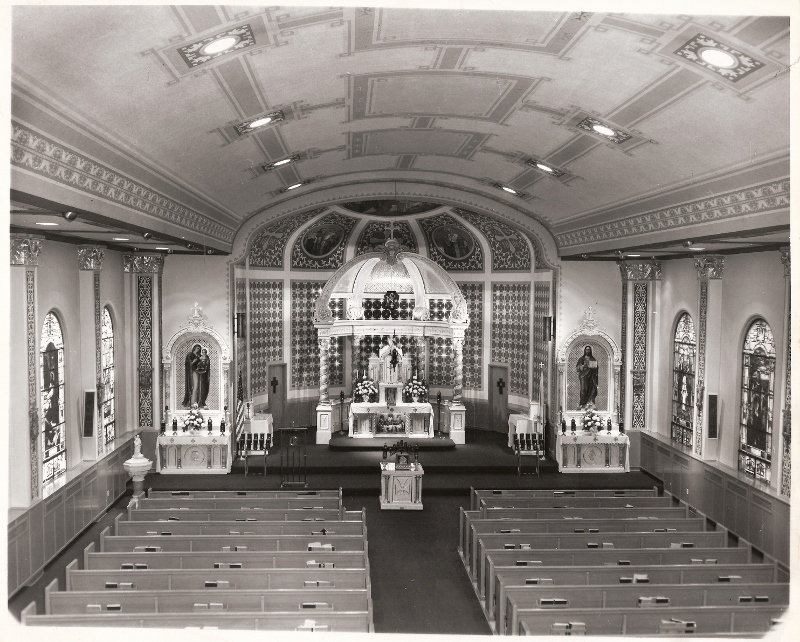 In 1963, in preparation for the 50th anniversary of St. Michael’s, a new lighting system was installed and the church interior was repainted. Rev. Michael Warady oversaw the renovation project as pastor at this time. 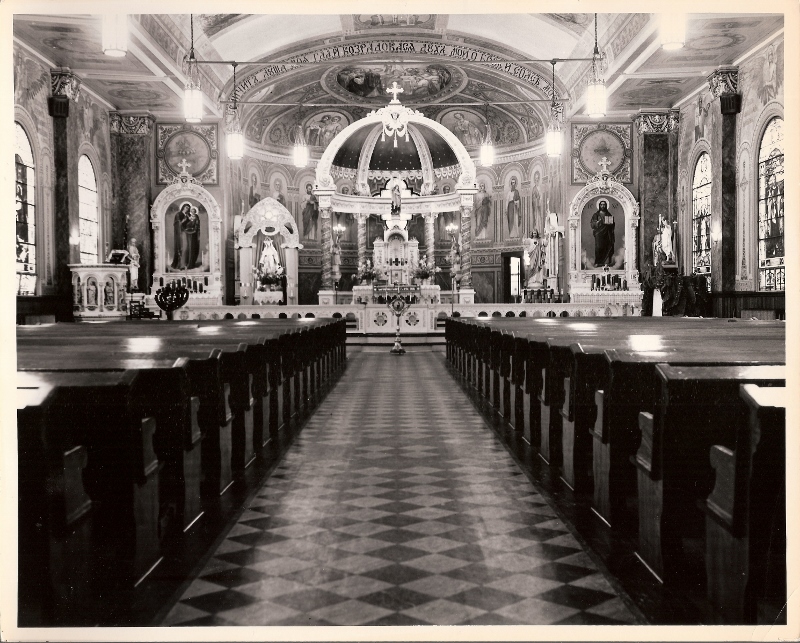 The blessing and rededication took place August 1, 1965, with the Most Rev. Stephen J. Kosisko, D.D., eparch of Passaic, N.J. officiating. From 1967 to 1979 under the pastorate of the Rev. Theodore Rudy, the church basement was remodeled and the church interior was repainted. Beautiful scroll work and borders were painted to highlight the features of the interior and to lay the foundation of future interior design plans. Extensive work was done at the parish cemetery situated on Union Street, Pittston, and a large parcel of land adjacent to the church was purchased for a parking lot. This ensured that St. Michael’s had an ample setback from adjacent properties and provided substantially expanded parking. The pastors serving St. Michaels from 1979 to 1987 included Rev. George Bujnak, Rev. Edward Higgins, and Rev. Christopher Petruska. Various repairs and other improvement projects were completed during this time, including roof repairs, and a renovation of the front vestibule and the building of an addition to the front of the church to enclose the exterior center stairs. Parish activities continued including implementation of Eastern Christian Formation materials to instruct the children of the parish. Father Michael Mondik was appointed pastor in January 1987, and it was during his tenure that a major renovation project took place. This included installation of air conditioning in the church and repair and repainting of the church domes. 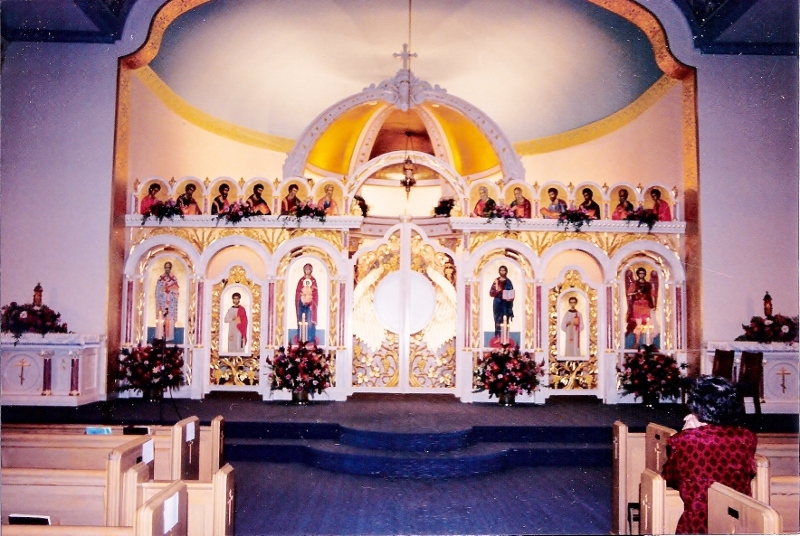 In preparation for the 75th anniversary of the parish in 1990, the interior of the church was completely renovated with the installation of a new tabernacle, altar and iconostasis (icon screen). All statues were removed as well as the remaining portion of an altar rail. This was an entirely new direction for St. Michael’s. The new interior was designed to more accurately reflect a traditional Byzantine church. And items not typically a part of Byzantine churches were removed or moved to allow for an authentic restoration. Rev. Theodore Koufos of Toronto, Canada, oversaw the changes that included the addition of Byzantine icons that were created by Rev. Koufos and his associates. The most notable of the icons is the “Icon of the Sign” that depicts the Mother of God or Theotokos with upraised arms and the image of Jesus Christ in a circle of radiant light within her. This icon is placed traditionally in the sanctuary over the altar, as it is in St. Michael’s. Its immense size and beauty is both breathtaking and inspiring. The icon is essentially a rendering of scriptural fulfillment, uniting the prophecies of Isaiah in the Old Testament to the Incarnation of Christ in the New Testament. Additional icons honoring saints, the early church Fathers and Patriarchs, and the four evangelists of the Gospels grace the walls and ceiling of the church interior. And while the icons are beautiful, their presence is an integral part of the spiritual practices of the Byzantine church. Rev. Robert Kemeter and Rev. Michael Krulak were the next pastors serving St. Michael’s. During Rev. Krulak’s pastorate, the exterior church domes were repaired and repainted to their present day appearance of small gold stars on a bright blue background. The domes are a very visible landmark in the landscapes of Pittston and West Pittston. Additional renovations were made to further enhance the icons already present. This included painting the walls of the apse behind the altar and tabernacle a deep cobalt blue and the apse ceiling was painted bright turquoise. 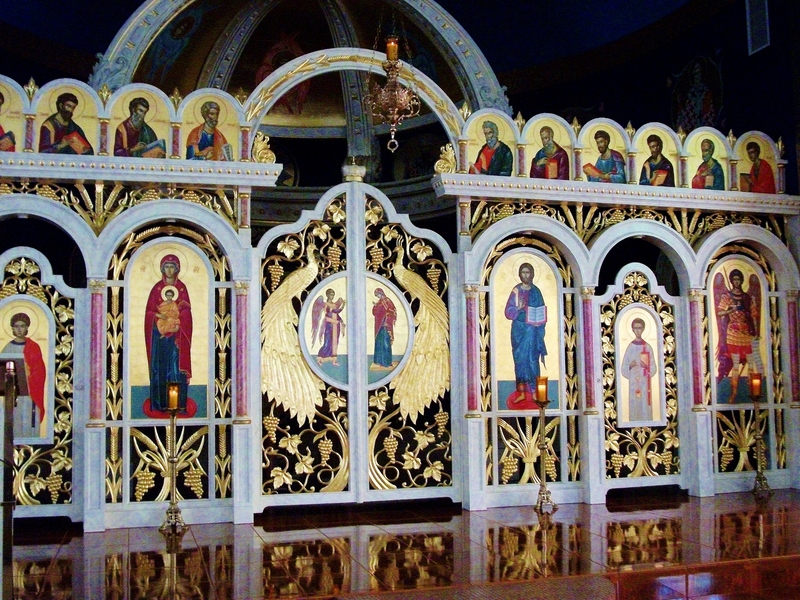 The effect dramatically accentuated the icons in the sanctuary, making them appear even more beautiful and radiant. Carpeting was removed from the sanctuary and the ambon area and was replaced with beautiful mosaic tile. These additional renovations made St. Michael’s, without a doubt, into one of the most beautiful and unique Byzantine church interiors in the area. “ The parishioners of St. Michael’s continue to work diligently to preserve their faith and to keep their parish alive and viable now, and hopefully, in the future,” Father Krulak had said during his time in the parish. And the three pastors to follow would certainly agree. Stepping in to serve next was Rev. G. Scott Boghossian whose time with the parishioners, although brief, was memorable and inspiring for teaching parishioners the joys of their faith through scripture, prayers, and inspired homilies. Following in the line of pastors loving this place of service in their ministry, Rev. Joseph Bertha brought to St. Michael’s his expertise on iconography. It was during Rev. 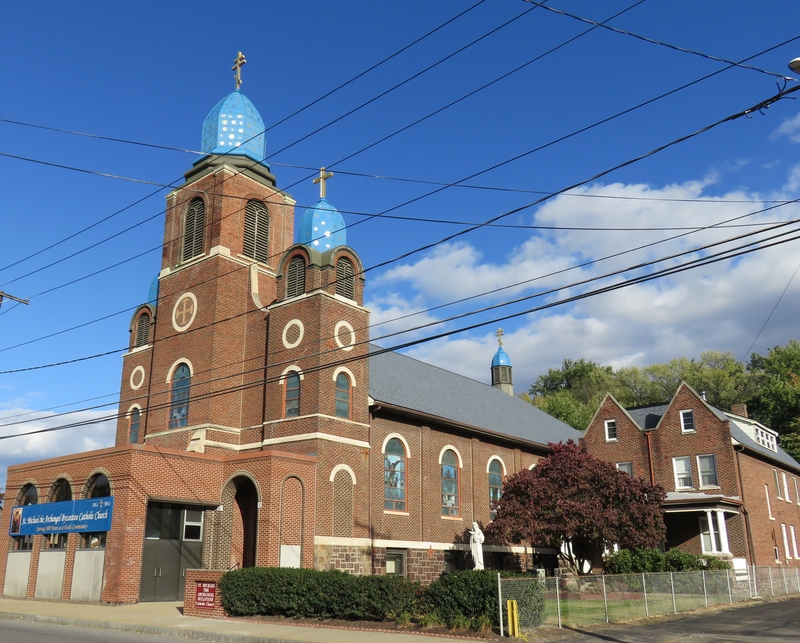 Bertha’s pastoral stay that St. Michael’s received attention when the church was included as a stop in 2013 on the annual Church tour held in the Pittston community. The opportunity to educate others unfamiliar with Byzantine churches, spirituality, and traditions showcased the special treasures of St. Michael’s. On Sunday December 23, 2012, the Bishop of our mother Eparchy of Mukachevo (Uzhorod, Ukraine), His Grace, Bishop Milan Šašik celebrated Grand Compline (Povecherije) with the faithful and clergy. This was actually Bishop Šašik’s second visit to St. Michaels, the first having been on June 24, 2011. The parishioners felt blessed to have been graced with his presence. Presently, with the pastoral direction of the Very Rev. Gary Mensinger, St. Michael’s continues to move towards greater community awareness, education, and parishioner involvement. 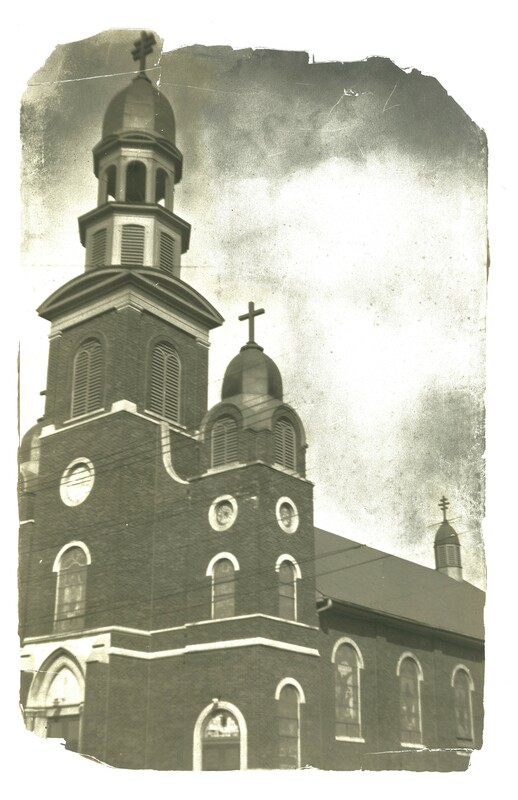 2015 marked 100 years since St. Michael’s was initially established as a church. The parishioners have diligently contributed their efforts on many projects and activities in celebration of this milestone. Through its history, St. Michael’s members have gratefully counted the many blessings God has given them, including vocations of eight priests and five sisters. We pray that God will continue to bless St. Michael’s and to protect our church and our parishioners as we move forward to meet needs and challenges in the future.